BethanyAnn, I know this tiresome to hear but we are dealing with an NPD. 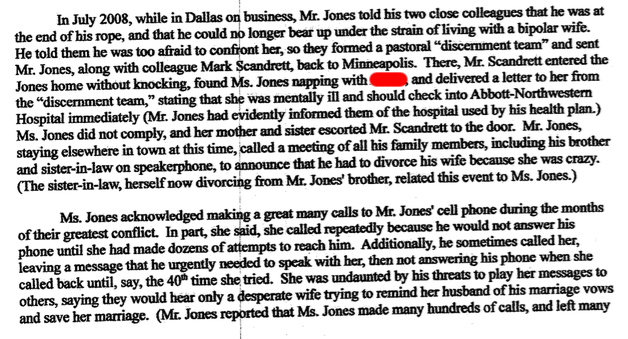 Not long ago, I was helping a woman dealing with an NPD custody issue. She received a letter from his attorney claiming that she had refused to allow her son to see his dad on a specific Sat when he had custody. It ended up in front of a judge. Here is what ACTUALLY happened. The son talked to the dad on the phone and asked if he could trade the date. The dad was more than willing. Now, there is NO papertrail and the son is 10. Dad sends police to the home on that visitation day when he knows the son is not there (he went to an all day church retreat). The dad has the police file an “incident report” so there is a record. The police do not arrest the mom much to the dads chagrin. Now, all that is documented for the public. That she not show up to deliver son to his visitation with dad and it was taken to court. If you look up the public records that is what you will see. So how will shining the light on this woman’s public records help you know the truth? What did the judge say? Keep the visitation dates. That is it. CAse closed. So she still looks guilty even though we can access the records. What has the son learned? Don’t trust dad. Meanwhile dad blamed mom for encouraging the son to trade the date when she did no such thing. Son wanted to attend the all day retreat. It was her fault even though she was out of it because she does not want to interfere with father/son relationship. Remember: You can never win with an NPD. All the shining the light on documents will tell you nothing. The NPD was 10 steps ahead. This type of statement is an example of unjust prejudice against those with mental health issues. Just because you know of *ONE* person with an NPD diagnosis who committed a custody-related crime does not mean that *ALL* patients suffering from NPD commit this or other types of crime. Writing off an entire group of people based on the most sensationalized representatives you are aware of is a dangerous and offensive practice. Think about the unfairness that would result if we misapplied this logica across the board: I saw a news article about an angry ex-wife who manufactured false allegations about her ex-husband the other day. That does NOT mean the anger Julie has displayed in standing up for her right to speak is similarly criminal and that she too manufactured false allegations. Both could be true, but they must be proven. It is a serious form of abuse to award less rights to people based on their mental health diagnoses. Trying to squash those who advocate for mental health patients’ rights is an equally atrocious form of silencing. People who are mentally ill often show patterns of behavior that are similar in nature but exactly the same. Perhaps you can explain to me why an NPD can CHOOSE to mirror right behavior when they want to? According to your logic then NPD’s can never be held accountable. The other problem with your prejudice statement is that most NPD’s are never diagnosed. That is a rarity. So they should get diagnosed for protection from their victims!!! I can see where this is going for victims. They cannot say anything about NPD because they will be speaking against people with mental illnesses and that is unfair because they cannot help it. Oh happy days ahead. Please tell me you are not a therapist of any sort. Please. Or heaven forbid, a pastor.. Tony’s deflectors are becoming quite silly. This is absolutely abusive for you to continue to suggest that patterns present in one or some mental health patients are present in all. Some of the characteristics and traits of people with borderline tendencies include making false allegations and harassment, resulting in patterns of unwarranted or exaggerated criticism. Does your statement that “People who are mentally ill often show patterns of behavior that are similar in nature but exactly the same.” mean that anyone who a therapist believes shows borderline tendencies must be making a false accusation? NPDs, like any of the other 9 personality disordered individuals, are episodic in nature. Although patients have them chronically (the disorders never completely disappear), those who suffer PDs aren’t always acting out or committing crimes 100% of the time. That is absurd to suggest. When triggered, NPDS, bipolar, borderlines, and the like can be abusive and horrific. But they can also learn to manage their behavior, they can take meds or engage in long-term therapy to move toward increasingly healthy behavior over increasing lengths of time. We must advocate for the rights of all mental health patients. To do otherwise is equally abusive. Contrary to your earlier post, in which you wrote “ and some bipolar traits or behaviors (attributed to another) ” – Julie was not diagnosed with bipolar or borderline traits, behaviors or disorders. This statement belies your attempt to set yourself up as a knowledgeable professional here, Davis (not, I’m sure, your real name). A mental health professional would be well aware of studies showing that false allegations of domestic violence are extremely rare. No professional would resort to to a vague reference to “some news article I saw” to make their point. You’re a plant. Go away. That is so NOT the comment of a mental health professional. They are trained not to pass judgment. Either you’re not a professional in the field, Davis, or you’re a very poor one. Jewel, I didn’t claim she was diagnosed with these. I said tendencies/traits of these disorders were attributed to her. If you research the Axis II diagnoses released by RL Stollar above, you will find that those traits are tendencies of several disorders. She was said to have a few of these traits, but the therapist believed she did not warrant a full blown diagnosis of bipolar or borderline. The point is even if you just take “affective disregulation,” which is the exact words written to describe these traits, the principle holds true. 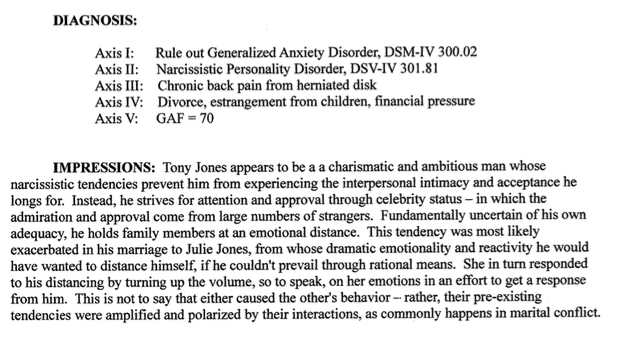 This therapist’s diagnosis of would not mean that Julie is ALWAYS disregulated as some of the more extreme members of Tony’s camp may have implied. Many many times you interacted with her, Julie would likely show appropriate displays of emotion. Her emotions would be normatively regulated. It would be unfair for an observer to cite every emotion she displays then as evidence she is in an erratic or unhealthy state. In the case of mental illness, it is necessary to look at someone’s complete medical and psychological health history that represents the findings and treatment of multiple physicians and therapists over years (or decades) to understand which traits they exhibit (because again, they don’t necessarily exhibit all of them, just a minimum number of traits must be recognizeable in order to qualify for a diagnosis). Also, just because two or more patients might exhibit the same trait, does not mean that they exhibit the trait to the same level of severity. Julie’s permanent, ongoing, longterm state of health should not be thin-sliced by a single treatment report during a marital crisis. Neither should Tony’s. They must be judged by more than speculation and a handful of partial papers excerpted from the hundreds and thousands of pages that pertain to their medical, psychological, legal, and judicial history. I think Julie is fortunate to come across a group of people who have given her a voice that I wish all my patients had. I just object to anyone using someone’s mental health diagnosis to pretend that anyone with BPD or NPD, for example, of course does all these horrific, criminal things because that’s all “people like that” do. I would like to see all of you continue to cheer Julie on in sharing her story without needing to put down the 1 in 5 people who might be working through a mental illness that does not make them criminal. Personality disordered is not a synonym for criminal. I left out the word NOT which I thought was corrected. For example, some mentally ill patients have hallucinations but they are not the same. That is a “pattern” but not the same. So next I will be a “terrorist” and “violent”. You guys can be so silly. NPD’s CAN CHOOSE to mirror right behavior. They do it all the time to get what they want. Are you saying they are not capable of mirroring correct behavior? Are you suggesting they cannot help but be deceptive? Look, I should backtrack and try to meet you half way here. My purpose in offering commentary here is not to prove or disprove anything that either Julie or Tony have said. I believe their allegations should be heard by the appropriate governing bodies who have the power to call juries, subpoena witnesses, acquire evidence, and enforce the law. My purpose is simply to advocate for the fair treatment of any patient who has been diagnosed by a medical health professional. TREATMENT MUST BE FAIR ACROSS THE BOARD. 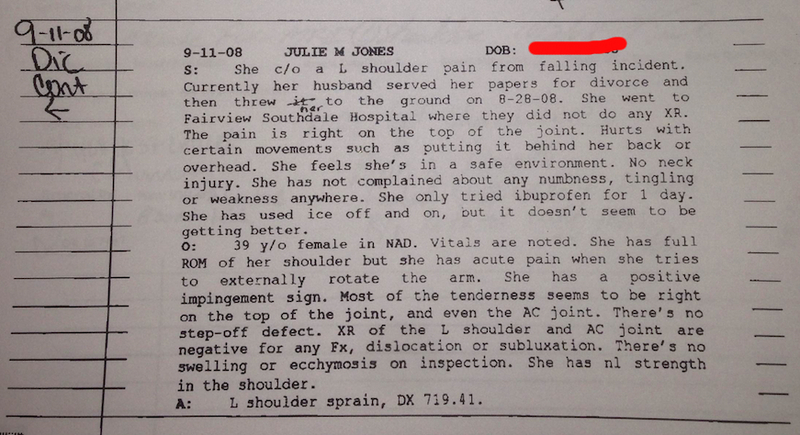 It would not be appropriate to pretend that Julie’s diagnoses, by default, make her guilty of criminal activity. Nor is it okay to imagine that an NPD diagnosis makes someone guilty of criminal activity by default. If someone is depressed, and they are found deceased, do we automatically assume their previous depressive episodes led them to suicide without any investigation? If a woman is borderline, which can manifest in false or exaggerated allegations, do we ignore her black eyes? If a child is bipolar which can result in disordered understandings of reality, do we dismiss their claims of sexual abuse? The principle I am fighting for here is for fair treatment for the 1 in 5 people in the US who have been diagnosed with some form of mental illness. They like any other citizen of the United States cannot be considered “guilty” by default. They too are guaranteed the right to due process and a fair trial by the Constitution. They may have a chronic disorder they will never shake, but they can learn to manage it. Let’s not cast all hope for them aside. I just want to say that the recent appearance of ‘Davis’ and ‘Danyelle’ in this thread, both of whom want us to believe that they have some professional status even though they will not provide professional credentials, seems designed to intimidate. Perhaps an effort to pressure R.S. Stollar into taking down the documents he’s posted? No need to fear them. Until such time as they are willing to present their credentials, they should be given no more credibility than anyone else on the thread. You’re completely on track to say that there’s no reason to fear me. I am not hear to foster fear at any level. I am here to ask everyone here to respect that people with serious mental illness are not always triggering, not always manifesting, not always on their worst behavior. That my field exists because sometimes, maybe not often enough, but sometimes treatment helps. Sometimes people take their meds. Sometimes they stay in therapy. And they learn to manage their impulses. This means they have good stretches and bad stretches and it can’t be assumed that they will always choose bad for themselves or others. I have patients who choose good against the odds all the time. They don’t deserve to have their rights written off here. I actually don’t think you should take my opinion or the opinion of any other professionals more highly than anyone else’s either, so on that we are in agreement. I offered some insight into some of the terminology around NPD and the treatment possibilities that this group didn’t seem to be factoring into their comments. I also felt a moral obligation to stand up for the types of people I work with everyday. They are marginalized by many and if you met many of them, I think you’d want to write blog posts about the abuses they’ve suffered too. A lot of other people offered me expertise from their backgrounds or research. I learned plenty. I hope I added something to the conversation too. My whole point is all of us should be treated as equals with rights and have it be acknowledged that we have something to contribute with our voices, with or without mental illness, with or without degrees, and so forth.Don’t take my word as bigger or weightier than anyone else’s. Just take my bits of experience for what they are, knowledge from the field, and then go on and form your own conclusions. I believe in everyone being heard. Yep. Same on TWW they had a “xtianatty” who spent countless hours arguing minutia from the court documents to try and smear Julie’s credibility as if there is a perfect victim. Then they had a “therapist”, too. And of course the neighbor who can see Tony’s home. All these appeals to “authority” are more cultic than what I expected from the Progressive/Emergent wing. But then, I had them all wrong anyway concerning their focus on the “oppressed”. Now we will ssee wealthy NPD’s as “oppressed”. And it gets even more curious. Julie has been gagged to speak for herself on social media. But Tony is more clever as NPD’s always are. He has plenty of people who will go on blogs, appeal to their own authority and cast doubt on Julie as credible or even rational. If Davis is a professional in that field I would encourage his patients to seek treatment elswhere. Especially those who are victims of people with personality disorders. I am beginning to understand the power dynamics at play here that lead my intrustion to be viewed as unsafe. It is difficult for newcomers to know what sorts of ploys or tactics may have been used by others or how that impacts one’s ability to join a conversation. I hope you have some grace for my missteps. Lydia, do you think it’s possible for me to continue on in conversation here and contribute if I am able to adapt and learn from others’ feedback and be more sensitive to the power dynamics that may be at work? Or do you think it would be helpful for me to exit the conversation due to the perceived suspicion and privilege around my story? I am open to guidance from the group. 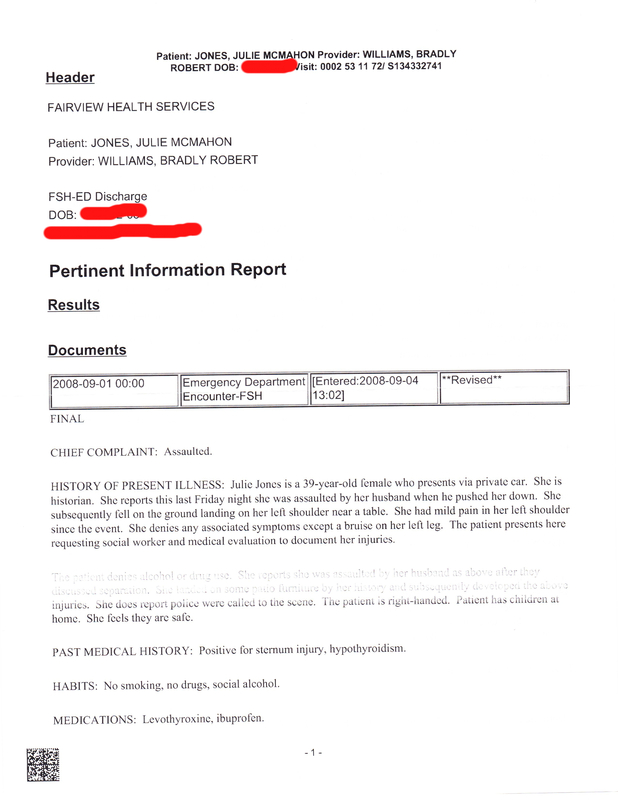 I just wanted to add that although I do not believe it is appropriate to share someone’s private medical records, I have not asked anyone to take them down either privately or publicly. Now that they have been made available on the internet, they have become public domain, and we all know that even if they would be removed they would be archived and preserved both by the Google bots and individuals. My focus is not on convincing anyone to believe any party or on convincing R.L. Stollar about what he should or shouldn’t post. My focus is only on encouraging others not to make flippant or insensitive dismissals that imply mental health diagnoses equate to criminal behavior. That would be a large step back for many who have worked hard to overcome stigma and own and manage their diagnoses. I can see, in retrospect, why citing my occupation could easily be read as flaunting my privilege or “authority” in this context. That is not a risk I perceived prior to speaking or I would’ve couched my remarks more thoughtfully. To correct my earlier self, I offered reference to my work because I wanted to share something from my experience and learning that might contribute to the fair treatment of those being discussed. I should also say that I do not mean to shame of vilify anyone who has made a casual remark about NPD, BPD, or other diagnoses. I know that not everyone has the sensitivity I have as a person who has been invested in this demographic for so long. It is not my expectation that everyone would use the terminology cited here so frequently that they would even have a consciousness for how it could be perceived as insensitive to a medical health professional. Where I sounded shaming, I apologize. I wanted to make strong statements based in my commitment to victims, not to vilify those speaking or to discredit their experiences. You can judge me a poor one if you want. I am sure some of my clients especially in my early years might’ve agreed with you. But the thing is, I am a human being and my voice and my experience is valid. The people in these blog comments are not my patients and I am not treating anyone here. I am under no obligation to not pass judgment. I get to be my honest self and tell my story just like everyone else. And that story is that I am opinionated. When I am not following protocol to support those who seek my services, I am giving opinions on everything from how my neighbor should mow his lawn to how my wife should flavor the meals she makes. I think it’s abusive for religious denominations to prevent women from being in positions of power, I think it’s abusive to try to prevent gay couples from receiving health care, I think it’s abusive to pull over, interrogate, shoot, or suffocate a man for being black, I think it’s abusive to silence vulnerable people who want to raise concerns, and YES, I think it’s genuinely abusive to act as if everyone with a mental health diagnosis is a criminal and incapable of good. You can repeat your dismissals of those with mental health diagnoses again and again, but I will not back down from asserting that people who do not have expertise in this field should not seek to interpret the diagnoses of mental health patients. No one, not me or any other mental health professional, should seek to diagnose people based on 5 or 6 documents (partial documents even) which are not published by an overseeing agency, journal, or medical board, but are rather released by a blogger. I will stand up for mental health patients that I treat and I will stand up for mental health patients who have been made vulnerable on the internet. That includes Julie AND Tony. It is not appropriate for any one to assume the diagnoses given to either indicates guilt or likelihood of guilt apart from evidence to that effect. And truly this, along with the psychological damage incurred with public humiliation, is why laws exist to prevent private medical documents from being published online for public consumption. Nope, Davis. What you’ve attempted to do in all of your comments here is set up a false equivalency between a woman who was NOT diagnosed with a mental disorder (though you keep subtly implying that she was) and a man who WAS diagnosed with a quite serious mental disorder. While waving the banner of fairness and ‘standing up for everyone!’. This is particularly egregious in your 1:26 am comment. It doesn’t work, and it is not the analysis that a bona fide mental health professional would make. Yours is the analysis of someone with an agenda to minimize Tony’s behavior while casting Julie as an ‘imperfect victim’. It is classic silencing, no matter your protestations to the contrary. I have actually stated that Tony’s diagnosis the much more severe. 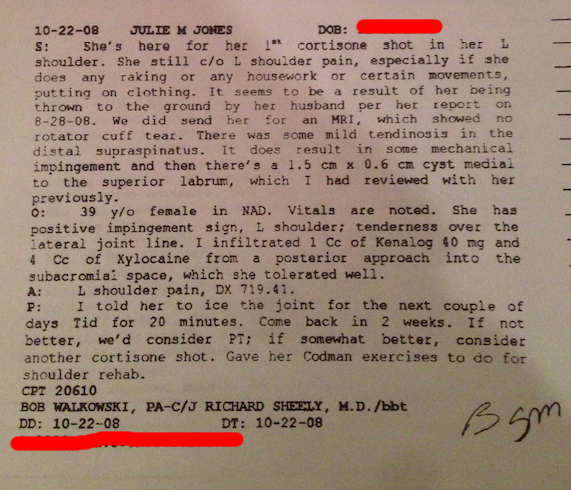 And I apologized for juxtaposing diagnoses related to Julie in order to advance my point. There was surely a more helpful way for me to reinforce what I was saying. I apologize both to you and to Julie for insensitivity around that. To clarify what I obviously did not communicate well earlier: I am here to suggest that no one on the mental health continuum, from those with moderate to severe diagnoses, deserves to have mental health conditions equated with criminal behavior. While I have learned from the feedback some of you have presented, I respectfully stand by this statement which seeks to honor the individuality of every person with a mental illness. Thank you, Davis. I appreciate your comment and your voice. Yes, every human has full peer value and is to be treated respectfully. And that is the point here. One person has been treated shamefully but you are standing up for those who have committed those acts. I can hear you thinking, but I am supporting both of them, I wrote that time and again! But you throw Julie in when talking about support and you lead with Julie when discussing mental illness, even though she’s not been diagnosed with more than a situational disorder. Even if not professionals, we aren’t stupid. Within mental illness, there is a difference between personality disorders and (formerly) Axis 1 diagnoses. If you are a therapist, you know that, of course. We all need support (I have PTSD); those who are personality disordered need to be set sturdy limitations because although they generally have decent GAFs, they destroy social fabric wherever they go. What limitations do you suggest for an NPD-disordered person with, say, moderate presentation? You write that you come here as just another opinionated human but you obviously haven’t read much of what has occurred over the last years. (Or else you have, and dismissed it.) This means that your opinion, including the expert one, is inadequate. The reason we keep bringing up the NPD diagnosis is that the leadership-defenders refuse to even allude to it in their writings of support. Even in this thread, underneath docs that directly address it, It is insisted that the NPD is “undiagnosed”. Yet almost all of them feel free to speak of Julie’s supposed mental disorders. When one reads through the available material across various sites, it is apparent that this mentally ill person has submitted to no limitations since his diagnosis. Moreover, it also appears that he has done little to manage his disorder. If he had been learning to manage it, he wouldn’t be acting the way he does, wouldn’t be saying the things he does, and wouldn’t still be currying proxies to stand in for him, painting him as a saint. Thanks for the thoughtful reply, Patrice. I hear what you’re saying and think we 80%+ agree on most of your sub-points. I tend to be a scribbler who jots shorthand notes and transcribes stuff verbally in everyday life, so I admit I can get longwinded or off topic when trying to communicate via more long-form writing. I apologize if I have said anything offensive or bearing offensive undertones even. That’s not my intention. I am trying to emphasize that everyone, across the spectrum of mental illness, deserves to be given the same access to human and legal rights. I wish to protect all of them. 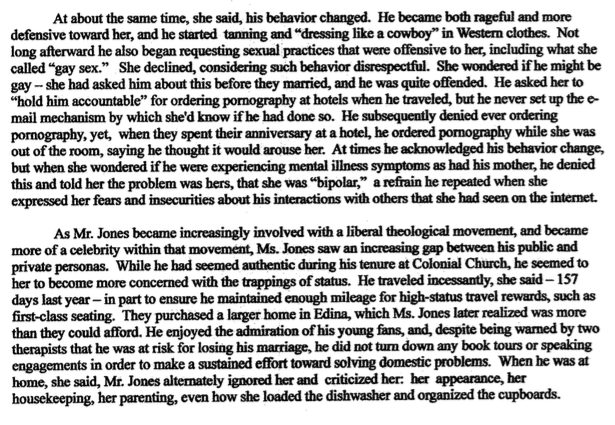 It may have been counter-productive for me to use examples which put Julie’s case in juxtaposition to Tony’s. 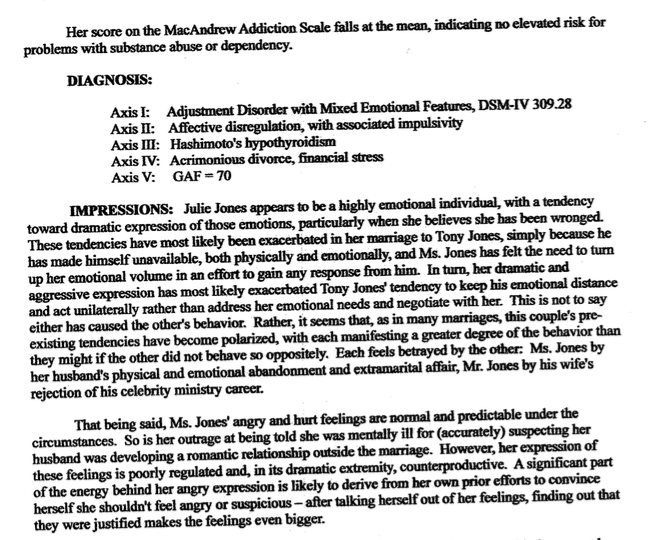 My intention is to emphasize that the excerpts from this particular treatment plan suggest Tony’s diagnosis is far more severe and Julie’s is less severe, and that regardless, neither of them should be broadly dismissed by each other’s supporters based on flippant and sometimes insensitive statements about the other’s mental health. There are likely other mental health professionals’ testimony and other records that offer additional information and/or sometimes contradictory findings. No matter which report is excerpted and dissected on the internet, I am asserting that the patients have rights and should not be stereotyped based on the most sensational representatives of their diagnosis. I hope we can at least agree on that baseline of respect for both these parties. While I think “painting him as a saint” is a bit exaggerated, I would like to apologize to you and to Julie for unhelpfully juxtaposing her diagnoses in order to advance the point I was trying to communicate. I understand why that was insensitive and I am sorry. No one, not me or any other mental health professional, should seek to diagnose people based on 5 or 6 documents (partial documents even) which are not published by an overseeing agency, journal, or medical board, but are rather released by a blogger. So I know you’re exhibiting a habit of misrepresenting the facts. Nobody is diagnosing on the basis of 5 or 6 documents, because the documents are the diagnosis. These ones were written specifically at the request of a non-medical authority for use in that context, hence they are designed, by definition, to be read and understood by people without medical accreditation. As to who published them, it doesn’t change the fact of the documents’ contents, no matter how disparagingly you choose to use the word “blogger.” And as long as I’m on the subject of your misrepresentation of the facts, you’re the one who equated mental health with criminality. And you’re the only one here who has done so. Perhaps you should go back to yelling at your neighbor over how he mows his lawn, but I’m not going to suggest that you continue advising your wife how to cook your food for you (is she barefoot and pregnant as well?) because she’s probably just forgotten a cardinal rule that I also forget from time to time: don’t feed the trolls. 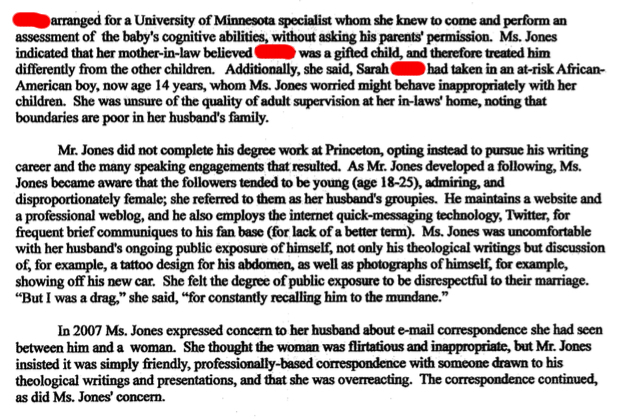 Reading the blogs, scribd site, etc on this issue has convinced me of what Julie has been up against for years. What has shocked me the most is how many “Christian” celebrities are publicly staking their credibility on an NPD. There has to be more to it. They cannot all be that gullible, can they? Especially the ones that went along with the “Julie is mentally ill” meme, trying to get her committed and then the “spiritual wife/legal wife” thing. You would think they get it by now. I understand why, given the volatility and polarization happening between the groups involved, every new comer is viewed with suspicion. I even perceive that this may be healthy suspicion. There are many things about the various dialogue (or silencing of it) happening online that create an unsafe space. And it appears there are credibility problems and challenges on many fronts. I don’t know what your history is with either of these individuals or their past, but given the comments you offered earlier online, I suspect you have one. This gives you a different kind of credibility to speak from and I value your contribution based on your experience. I am not trying to introduce myself as an individual who has earned their right to draw conclusions in this camp. Nor am I trying to dispute anyone else’s experience. I am only saying that I encourage everyone away from broad-brushing those with mental illness. That is something I have observed to be harmful to the vulnerable populations I treat. I also believe that even appearing to equate mental illness with criminal behavior is counter productive to the campaign you are waging around someone’s right to be heard. Sorry. My last comment was a reply to Brother Maynard. Lydia, it is becoming difficult for me to follow this thread. As one can probably guess by some of my missteps, blog commenting is foreign territory to me. I wanted to paste my earlier response to you here in the more recent comments to solicit your feedback. “I am beginning to understand the power dynamics at play here that lead my intrustion to be viewed as unsafe. It is difficult for newcomers to know what sorts of ploys or tactics may have been used by others or how that impacts one’s ability to join a conversation. I hope you have some grace for my missteps. It is not my blog so I suggest you are free to engage here as long as the blog owner agrees. It is a bit late for me anyway. I have seen every single angle known to man from the celeb xtian wing of evangelicalism in order to prop up their privilege and “persuade” followers. I have seen more evil done in the name of Jesus to last me a lifetime. I was actually engaged in it myself once as a commender. I have learned to take first responses at face value and am not interested in going “rounds” or helping you rehab your image here. As an ignorant rube, I would have preferred that NPD never become a mental illness diagnosis. I would have preferred if we just call it what it is: deception as a lifestyle. And there are many degrees of it. Sadly, with those who think they can teach us about Jesus Christ. NPD’s and their lesser cousins are people to be avoided. We are to warn others about their destruction and deception. And there will NEVER be enough proof for their apologists. I guess I will take what I can get. 🙂 I appreciate the even-handedness in your response. I apologize again for contributing to your feeling implicated as “as ignorant rube”. I don’t actually have much reputation to protect here. I am not part of the religious conversation that many (maybe all?) of you are party to. I won’t be likely finding myself in the same social circles or dinner parties you all might attend. 🙂 Perhaps this means I should’ve stayed out of the conversation altogether. I decided early on that when I took risks in life or career, though, it would be risks to defend the most vulnerable populations from stigma and abuse. I am willing to take some hits for trying to do that and I am willing to own my mistakes and try to learn from them along the way. Hey, Davis this is to your 10:11AM comment, put here because it’s too confusing above. ISTM, we need more thought about what kind of mental illness the personality disorders are, and what it means to give people with them respect. The mentally ill need protection for themselves and in society. The personality disorders generally need protection for themselves and society needs protection too. I do see that working out in this situation. Possibly you weren’t aware that the original post is a late response to many years of someone being shunned and called crazy by the more severely-ill leader and his supporters. Things in comments will get shrill and somewhat stereotyped when pressure pops after long build-up. And many commenters are writing from their own experiences, too, which adds further edge. I wish you well, Davis. Thanks for the information you added, Patrice. Every new bit I’ve come in contact with has been helpful for understanding the story. I certainly disagree with silencing and while I have no expertise on this particular religious sect, I hope some sort of positive mediation (I saw the possibility of this is referenced) is possible. I appreciate your comment. Davis, since you stated you were open to guidance from the group, and to learning, I have some suggestions about the big picture here and for resources, regardless of whether you choose to continue commenting or not. I will be frank: While you might learn a lot from those here who have personally experienced the kinds of public pathology that spill over from abusive behaviors at the personal level, if you choose to dialogue and comment, you might want to steel yourself against push-back for what may likely appear to me and perhaps other members of spiritual abuse survivor communities as reductionist thinking. I am not negating psychological or political perspectives; rather, challenging to synthesize them with many other academic disciplines relevant to *systems* of spiritual abuse. If you are interested in learning more from classic research on social-political-cultural power dynamics in perpetrating and perpetuating abuse, I would suggest starting with some of the foundational research done by Dr. Robert Jay Lifton in the 1950s and published in 1961. If anyone could be called the founder of the discipline of trauma psychology, plus a key holistic contributor to system issues involving sociological “cults,” it certainly would be him. His work on *Thought Reform and the Psychology of Totalism: A Study of “Brainwashing” in China* integrates many of the psychological, social, and political strategies and tactics of totalistic mind- and behavior-control. And if nothing else, read Chapter 22, where he devotes several pages to each of the eight key indicators of authoritarian totalism, which have eery parallels to what many in our spiritual abuse survivor communities been traumatized by. And, if you are interested in personal and social dynamics of spiritual abuse, here is a link to a reference bibliography I compiled (and need to update!) with mostly books for survivors, plus some resources for professionals. Christian popular literature on recovery from spiritual abuse really only goes back 25 years, and there is still a long way to go in terms of academic research on this domain. I don’t want to arrogantly overstep my expertise and act as if I have an informed opinion on these other connected issues such as religious cover-up, but I have bookmarked and noted the resources you provided for further reading. Thanks for that. I think you’re right that I will steer clear of any pushback on allegations or experience of spiritual abuse, given I have no relevant experience with this particular religious stream. I do wish all of those closer to the situation well in their mediative efforts. Thanks again for taking the time to write. Thanks for your work bringing this to our attention. 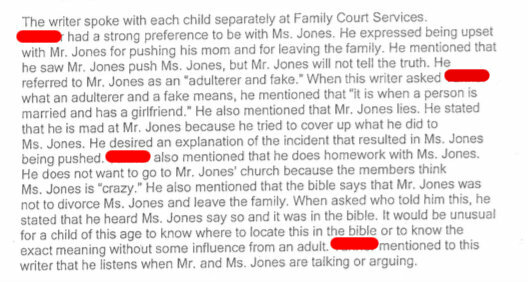 I am very angry that people who should know better sided with Jones i.e. accused McMahon of false allegations. Have any of Held Evans, McLaren etc. changed their minds in light of this evidence? 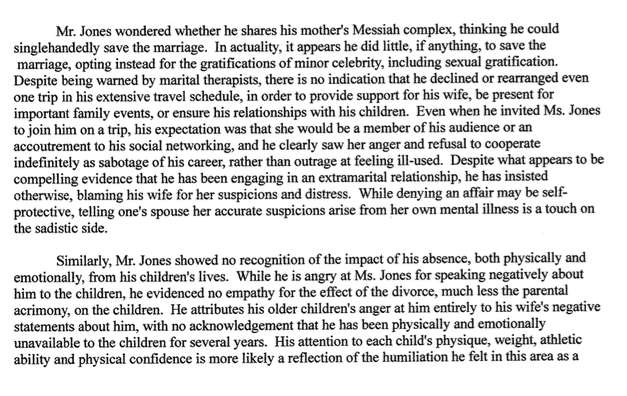 It looks like there’s a bit of a jostle over what will be said about this on Jones’ Wikipedia page. At the moment, it’s not mentioned at all.